Its name is schiacciata (flat bread), but it is anything but flat. 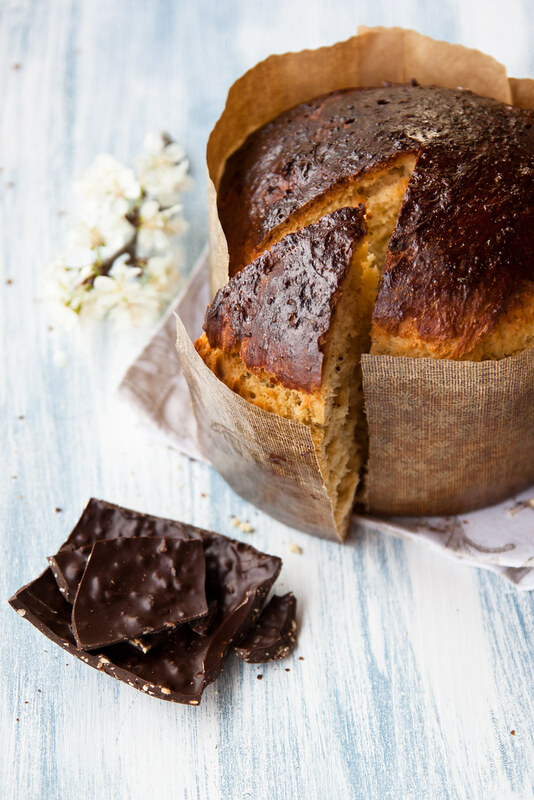 It’s the typical Easter sweet bread of my areas, popular in most of the Tuscan region with slightly different names and small changes that could allow an expert eye to attribute undoubtedly the schiacciata to the Sienese area, the Elsa valley or the empolese county. To tell the truth I call it sportellina, the very same name they use in San Gimignano, because my grandfather Remigio had really a sweet tooth for it, and as soon as you entered the Easter period he began to send us thick slices of schiacciata, tightly sealed in plastic bags to keep it fresh. Mum usually took it home just in time for tea, she came in and put the sportellina in a dish with a knife, in the middle of the table already laid for the afternoon tea. Its name is schiacciata (or stiacciata) because they used to break (schiacciare in Italian) many eggs: it’s spring and the hens begin to produce eggs at a fast pace. You make an omelet, you cook a fried egg, you make also a fricassee, but then you must find a way to use so many eggs… so the women baked the Easter schiacciata, but not just one or two, they kneaded them in large quantities with those arms accustomed to hard working in the fields, to give to their neighbors, relatives, the doctor, the pharmacist, all of the notables of the time. He has generously given us well proved ingredients to use: I would say that after an annual output of fifty schiacciata they will guarantee for sure perfect results. As for the method to follow, the advice was to look at the dough. And so I did, and among us developed an old fashioned love story, one of those stories that followed the right rhythms and pauses, without hastening the steps. As in any respectable love story, there is also a confidante, a friend now living on the other side of the world that shares your moods and experiences them at the same time. 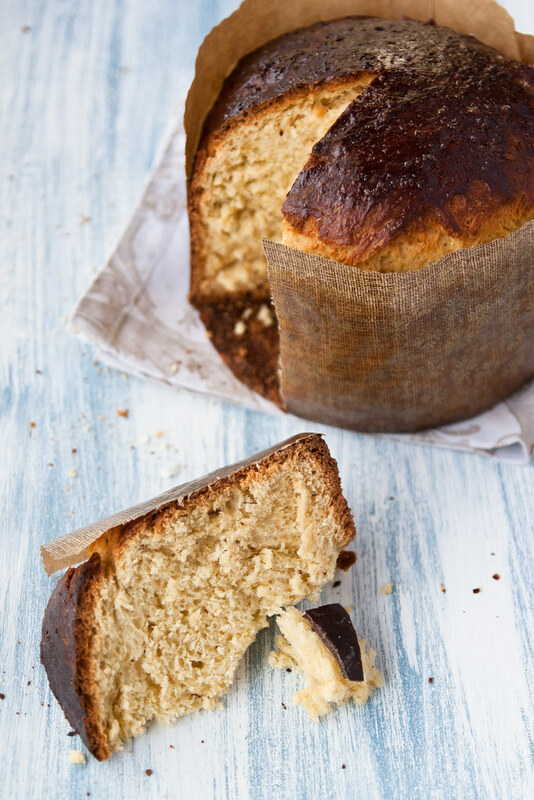 Emiko has rocked the same precious love for hours, and now she’s proudly presenting you the Fucecchio version of this classic Tuscan sweet bread. This is how everything started. Sunday, 6.30 pm, the started. While everyone was outside enjoying the last spring sunbeams, I was in the kitchen half hidden behind the largest bowl I found, almost a basin: lukewarm milk and brewer’s yeast to begin. I like to crumble the yeast with my fingers, my hands quickly become velvety and smell good. I slowly stir in the flour with a fork, then I can not resist any longer and put my hands inside, I caress the dough and knead it some more, just enough to make it homogeneous. I dust it with some flour, then put it to rest in the oven with the light on to create a bit of warmth inside. Sunday, 8.30 pm, 1st rising. Mum, Dad and Claudia are having dinner, I meddle with the scale to add the first ingredients to what tomorrow might be my first Easter schiacciata: eggs at room temperature, raw cane sugar, extra virgin olive oil and some flour, then I knead it. I know it’s impossible, but I am sure I can already smell something good, I am proud and in love with this little ball of dough, slowly rising in the warm oven. Sunday, 11.30 pm, 2nd rising. Had it not I was collapsing asleep, I would find this moment poetic. The house is now dark and silent, while I’m kneading my Easter sweet bread-to-be in a corner of the kitchen, with just one light on the counter. Kira sleeps in a corner, with deep and regular breaths, I do everything possible not to wake her up. But in the silence of the house even the cracked egg shells sound thundering. Again eggs, and sugar, olive oil, flour, orange juice, cherry liqueur and mint rosolio. Despite the fact that I cannot cope with the mint rosolio on itself – it tastes just like mouthwash – it adds incredible nuances to the Easter schiacciata, it is one of the secrets. I knead the dough for the last time for today, I soak the aniseed into the mint rosolio, stash the dough away into the warm oven, then I finally call it a day. Monday, 7.00 am, the alarm goes off, 3rd rising. During the night the schiacciata has risen and now has a ripe smell, I cannot resist not to tear off a piece of raw dough with my hands and eat it, even before breakfast. I add the last ingredients: eggs, olive oil, melted butter, mint rosolio, cherry liqueur, flour, sugar, well soaked aniseed. Along with mint rosolio, aniseed make the schiacciata different from anything you’ve ever eaten for Easter. Monday, 11.00 am, 4th rising. This time I do not add anything, my Easter schiacciata is already perfect in its smell, I just knead it with energy, divide it into three balls and lay them into paper moulds to let them rise for the last time. You need now a warm place, so I put them in my bed between two pillows, covered with the duvet. In the old days they used to put a brazier in the bed to gently warm it up, today I turn on the electric blanket to cradle the three sweet breads in a steady warmth, to make them double in size within a few hours. Monday, 4.00 pm, the baking begins. The windows and the doors are tightly closed to avoid any draughts that could deflate the schiacciata in a breath. I go to my room with my grandma, we collect the schiacciate from under the duvet and cover them with a warm cloth to keep them at an even temperature, then we bring them down in the kitchen in an awkward procession. A quick brush of beaten egg white on the top, then I carefully lay them in the centre of the oven. I sit there and watch them rise. 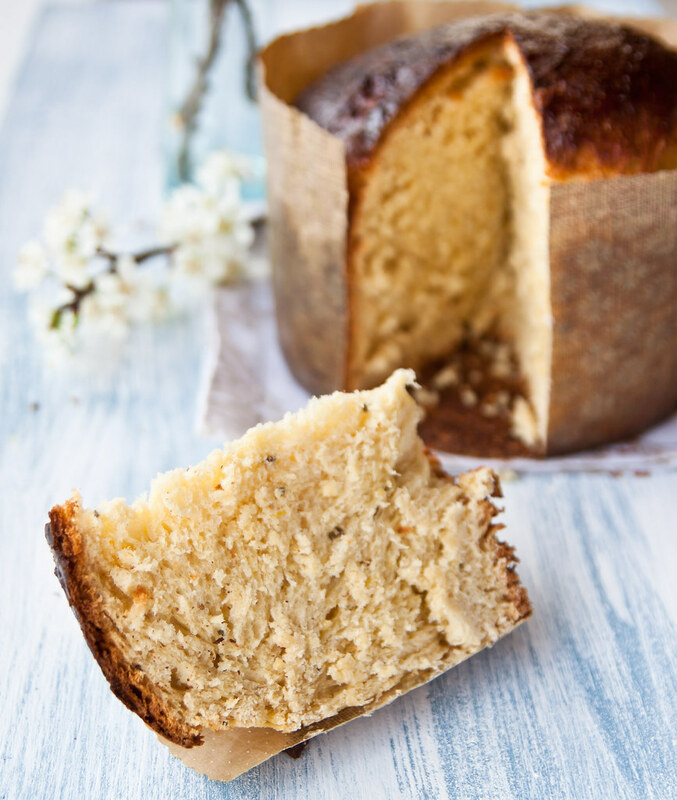 The Tuscan Easter schiacciata is not as buttery and almond sweet as the traditional colomba (another sweet bread shaped as a dove). 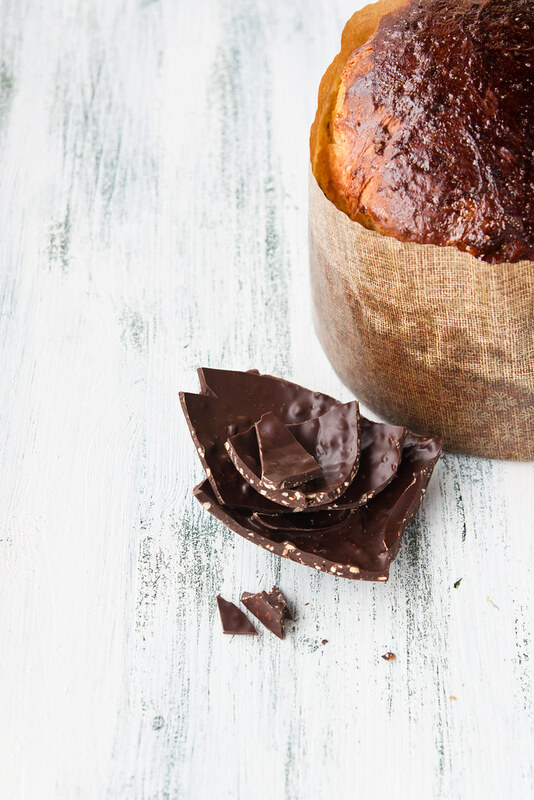 It’s a bashful sweet bread, it takes some time to be completely appreciated. It has the same reticent character of certain Tuscan people, faintly rough on the surface, but generous as soon as you get to know them better. It is traditionally eaten with the Easter chocolate egg or soaked in a tiny glass of vinsanto, the ever present sweet wine on our holiday tables! As usual, I upset all the rules: I do something that should not be done, something that could strike me off the Tuscans roll: I soak my thick slice of sportellina into a glass of water, just like I did and still do with the biscotti di Prato. I do it stealthily, when anybody can see me, a pleasure doubled by being unseemly. Traces remain in the glass and a smile on my face to witness this heresy. Starter. Dissolve the brewer's yeast into 150 ml of lukewarm milk, then gradually add the flour, about 300 g. The dough will be quite sticky, but knead it into a ball, dust with some flour and let it rest in a warm place for about two hours, until it begins to rise. First rising. Add to the starter 3 eggs, 150 g of raw cane sugar, 40 g of olive oil and about 400 g of flour, knead and let it rest in a warm place for about 3 hours, or until doubled in volume. Second rising. Add 2 eggs, 150 g sugar, 40 g of olive oil, about 400 g of flour, 25 ml of mint rosolio, 25 ml of maraschino liqueur and the juice of half an orange. Let rest for at least 3 hours, until doubled in volume. Third rising. Add 2 eggs, 150 g sugar, 30 g of olive oil, about 400 g of flour, 50 g of melted butter, the aniseed, 25 ml of mint rosolio and 25 ml of maraschino liqueur. Knead and let it rest for at least 3 hours, until doubled in volume. Fourth rising. Once the volume has doubled again, knead again the dough for a while and divide it into 3 equal parts (I got 1 kg, 1 kg and 750 g), then put them into 3 moulds suitable to bake them in the oven. Put them in a warm place to rise for at least 4 to 5 hours, until doubled in volume. 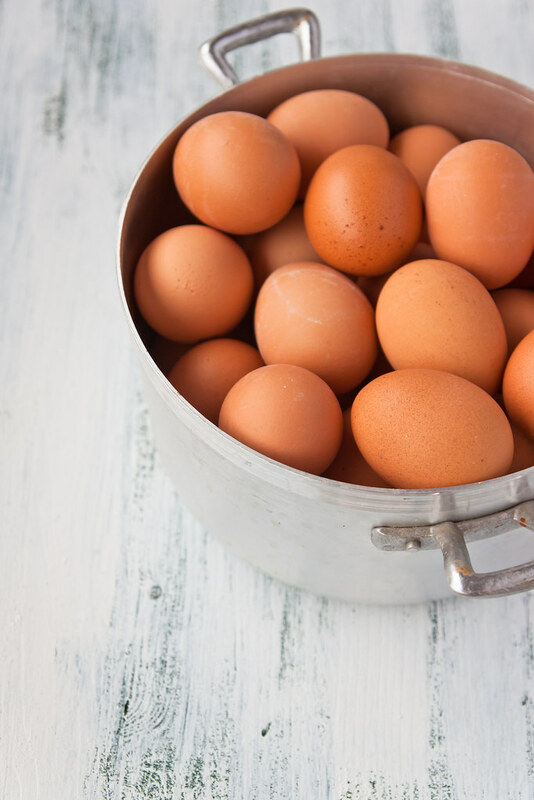 Preheat oven to 180°C and when the schiacciate are ready brush the surface with the beaten egg white to polish them, then bake them for about 45 to 50 minutes, until they are perfectly cooked and dark brown on top. Let them rest for some time in the oven, then let them cool completely before serving them. The schiacciata will keep well for a week if wrapped in plastic. That schiacciata est beautiful and very tempting! Lovely texture. So moist. The last picture is stunning. I’ve always known schiacciata as the flat, salty, oily bread so this is totally new to me…looks absolutely delicious though! What a beautiful sweet bread! This truly is a love story! I couldn’t wait for your recipe, now I finally have it, will print it and bake it 🙂 It seems perfect! What a gorgeous & tasty looking bread..loved reading the lovely story! Happy Easter! 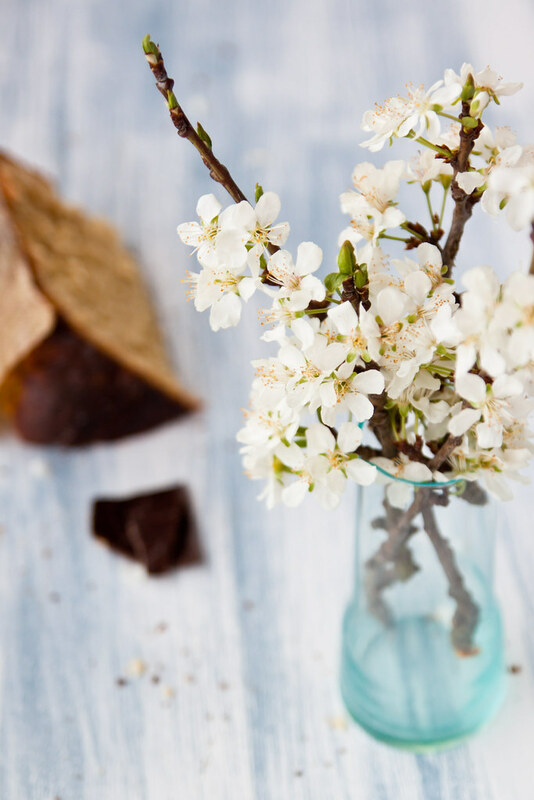 I love the symbolism of bread for Easter…This recipe has to tried in my kitchen this weekend. Thanks for sharing. Truly wonderful darling! Happy Easter! Oh wow, this looks fantastic. I love the use of cherry liqueur in this! Well done, and your pictures are just gorgeous. Looks beautiful. 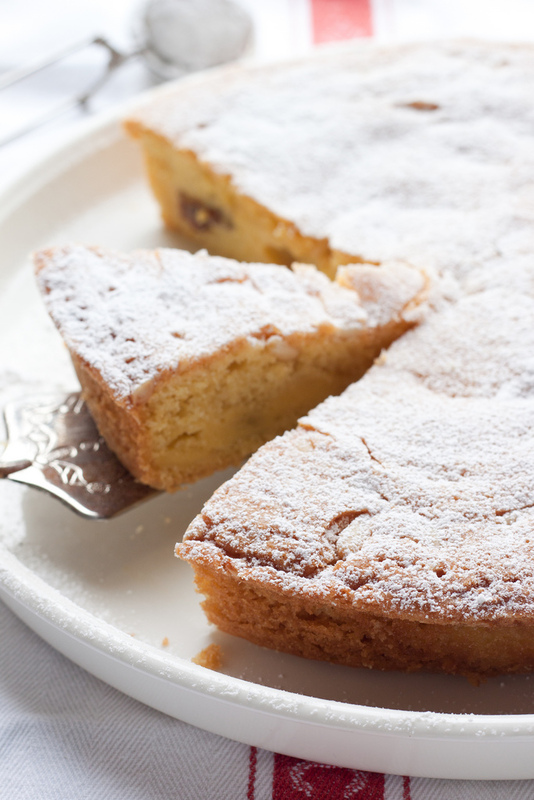 Thanks for sharing this Tuscan recipe. Oh my God! It’s wonderful…and the photos are great! 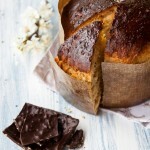 I would like to prepare it for our Easter…but I cannot find rosolio here in Sardinia – can I use any other ingredient? You can try to use any other sweet liqueur you can find.. try with Strega! I am going to try this lovely recipe this weekend, but I live in Sofia, Bulgaria and I can’t find mint rosolio. Last summer, during our vacation in Tuscany, I purchased some other liqueurs – Maraschino, Strega, Alchermes and of course the sweet wine Vin Santo. Do you think it is a good idea to use the same quantity of Strega or Vin Santo instead of the mint rosolio? Dear Guilia, the result of trying out your recipe is more beautiful and more delicious than I expected to achieve. Thank you very much and Happy Easter! this really makes my day! Happy Easter to you!